“It is a very clever bacteria. It can take the person’s immune system and use that to create its perfect conditions,” says Elisabeth Corbett, a Clinical Epidemiologist at the London School of Hygiene and Tropical Medicine. But a research project called PanACEA is aiming to develop new tools to control the disease. Made up of dozens of African and European scientists one of its cornerstones is a hospital in northern Tanzania. The medical facility is home to around 70 patients. Some like Asanterabi Swai have been treated for tuberculosis before. “The first time (I was treated) with it I don’t know exactly the name of the tablets. But the first time I started without injections. The second time they started giving me injections. I got 56 injections. Every day, early in the morning, I get one injection”. The standard medication for tuberculosis is a mix of four different drugs. The time frame for treatment can vary from six to 18 months. “I’m 800 kilometres from my home and my six children. I can’t be with them as I need to pursue my treatment here,” says another patient Mariam Mwakaje. In addition, such long treatments can pave the way for side effects and the development of multi-resistant bacteria. The toll on patients, their families and health systems is huge. “The duration (of the treatment) is very long. You know, when someone has tuberculosis, of course there is a support for (buying) the drugs. But the system does not support patients. So many patients may fail to comply to come to the health facilities and take those treatments, for instance, for six months. And that may lead to the development of drug resistant (bacteria).” Stellah George Mpagama, an infectious disease specialist at Kibong’oto Infectious Disease Hospital says. In a bid to shorten existing treatments, the hospital has teamed up with a research facility in the city of Moshi. A European research project developed under the umbrella of the European & Developing Countries Clinical Trials Partnership. EDCTP funded a grant of EUR 11.4 million to the project. The EDCTP programme is supported by the European Union under Horizon 2020, its Framework Programme for Research and Innovation. The clinical trials see patients receive higher doses of different molecules to assess if bacteria can be eradicated faster – while at the same time ensuring they are safe and can tolerate the medicine. “First, we determine if the bacteria is resistant to antibiotics or receptive to them. And then we make cultures of those bacteria for further analysis, all from samples taken at the hospital,” Saumu Pazia, a Biotechnologist from the Kilimanjaro Clinical Research Institute says. So far, results have shown that tripling the dose of one of the drugs being used in the clinical trial, Rifampicin, could safely speed up the eradication of the bacteria. The entire PanACEA project is being coordinated from a hospital in the Netherlands. While the number of new cases of tuberculosis in the European Union is much lower than Africa the project has reached out to a number of clinical trials. The goal is to develop the trials with improved microbiological markers and modeling techniques. Researchers say the stakes are high. “All these programmes, they are trying to get these patients for treatments of 6 months. Just imagine if we could just get 4 or 3 month treatments; what that would save in terms of cost, time of the programmes, and de-compliance of the patients; because you are much more expected to comply if you are just treated for 3 months than if you are treated for 6 months,” says Martin Boeree, an Associated Professor for Respiratory Diseases at Radboudumc and the PanACEA II Project Coordinator. Building on what they already know, the scientists hope the second phase of the project will involve some 800 patients from six African countries. Just like previous clinical trials, researchers want to understand how the human body reacts to higher doses of existing drugs – but now they also want to assess how safe and efficient the newly developed compounds are. “We need to know what is the actual amount of drug taken in by the patient that really enters the blood. And we also need to know the amount of drug that is in the blood. So by measuring a blood sampling we can estimate better what’s happening at the site of the infection,” says Linsey Te Brake, an expert in Tuberculosis pharmacology at Radboudumc in the Dutch city of Nijmegen. The project is now looking at ways to broaden the scope of the clinical trials to African countries heavily affected by the disease, but which so far have limited capacity in terms of staff and research infrastructure to make this possible. This is the case for Malawi, one of the poorest countries on earth. On average, 50 people come to one clinic in the south of the country everyday, showing obvious signs of the disease. 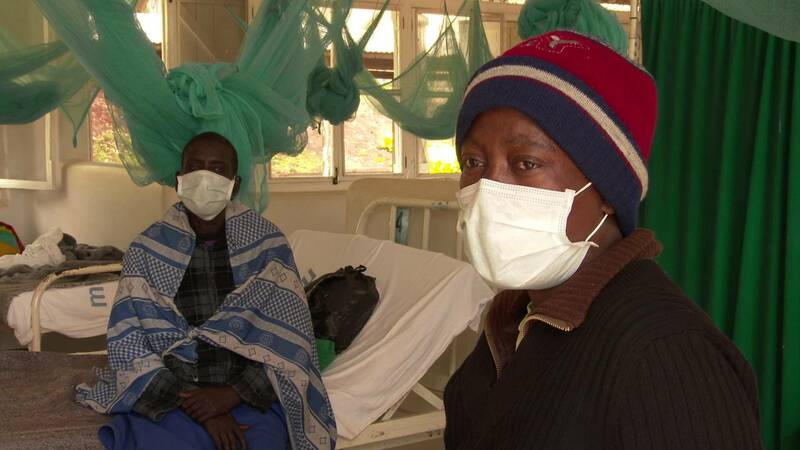 As in other parts of Africa, the HIV virus is helping to fuel the spread of TB. The Tuberculosis bacteria can remain latent in the body for years, waiting for the best moment to act. HIV positive patients have such weak immune systems that tuberculosis finds no obstacle and can thrive in them. One of the major problems facing Malawi is the lack of basic tools to fight the disease. In the economic capital Blantyre, there are only two functioning chest x-ray machines for about one million people. Doctors on the ground say urgent solutions are needed. “(In Malawi) we have an incidence rate of around 160 cases every 100.000 persons. It is a very big problem. What fuels the disease in this country is poverty and living in overcrowded conditions,” Marriott Nliwasa, an infectious disease specialist says. Building better research facilities is seen as a key priority so that Malawi can participate properly in regulated clinical trials. Elisabeth Corbett from the London School of Hygiene & Tropical Medicine says: “In order to build expertise, you really have to have good young Malawians, with a specialist interest in research that is going to allow them to stay in that speciality in a way that is exciting for them, and in a way that makes being a researcher sufficiently well paid to make it worthwhile”. Researchers say they hope their work will eventually contribute to reaching the World Health Organisation target of globally reducing the number of new tuberculosis cases by 80% by 2030.